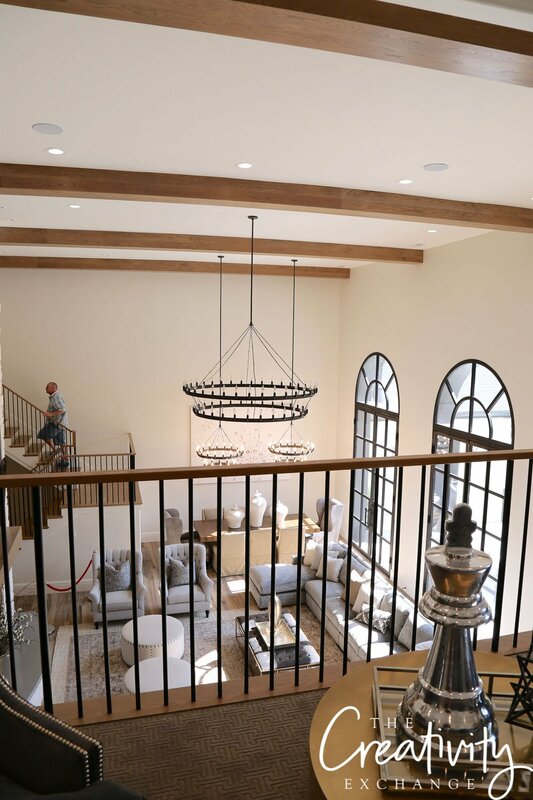 Last year, during the SLC Parade of Homes, I toured one of the most magnificent homes I have ever seen. 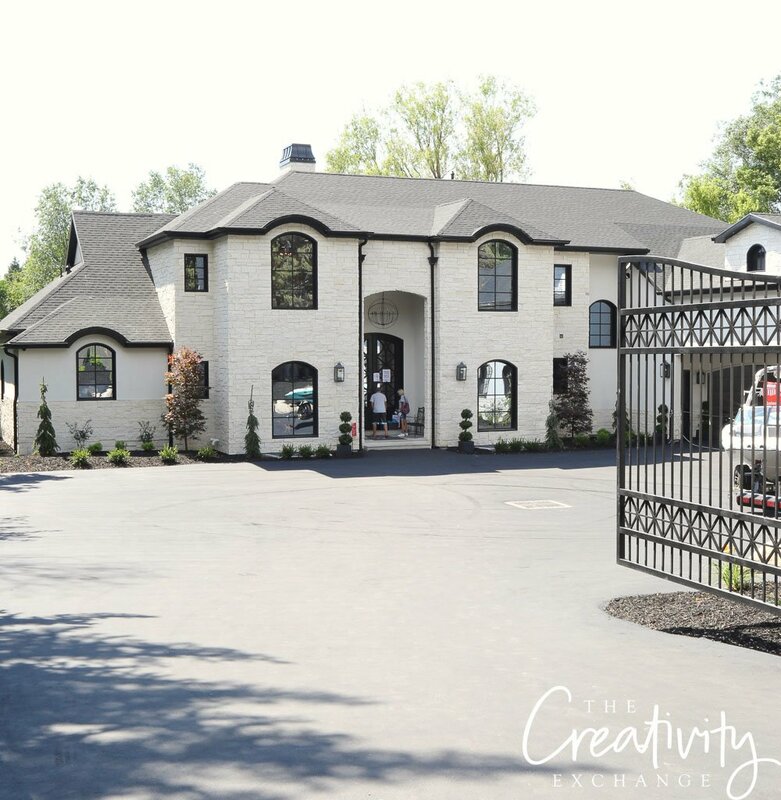 I shared a picture of this home on my Instagram and few weeks ago and I had a lot of questions about the rest of this home. 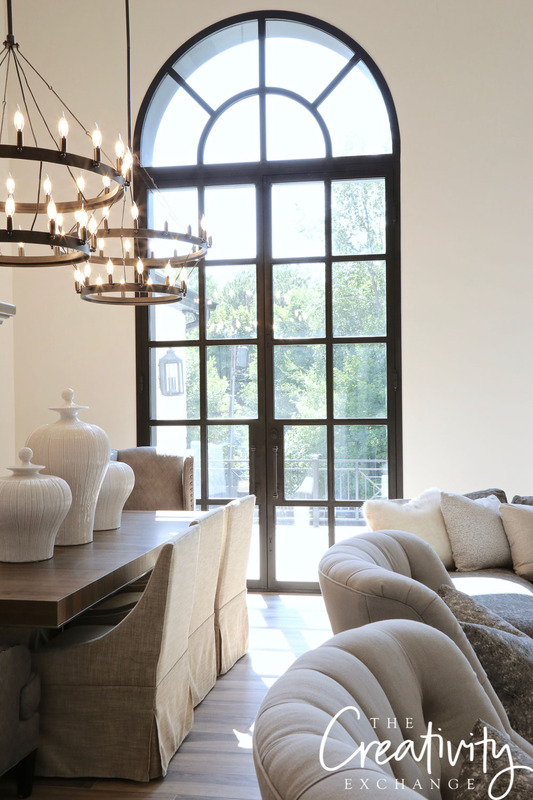 As I was answering questions, I realized that I never shared all my images from the home tour on the blog. It’s a really special home and I know you guys are going to love it! 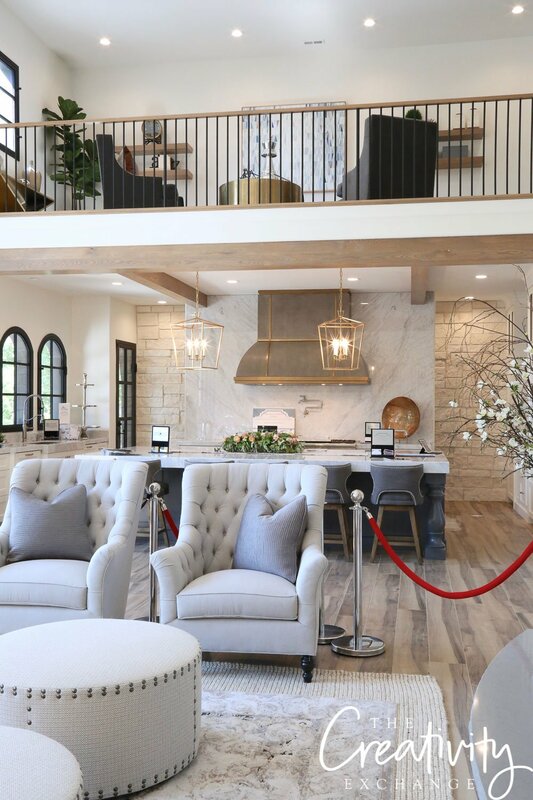 To give you a little background, this 12,144 square foot home was built by Alair Homes in Salt Lake City and it was designed by the home owner (who is also a designer) Danielle Loryn Design. As you walk into home, the kitchen, dining and living room are together and very open. In fact, this is a massive large great room with very tall ceilings that just took my breath away! 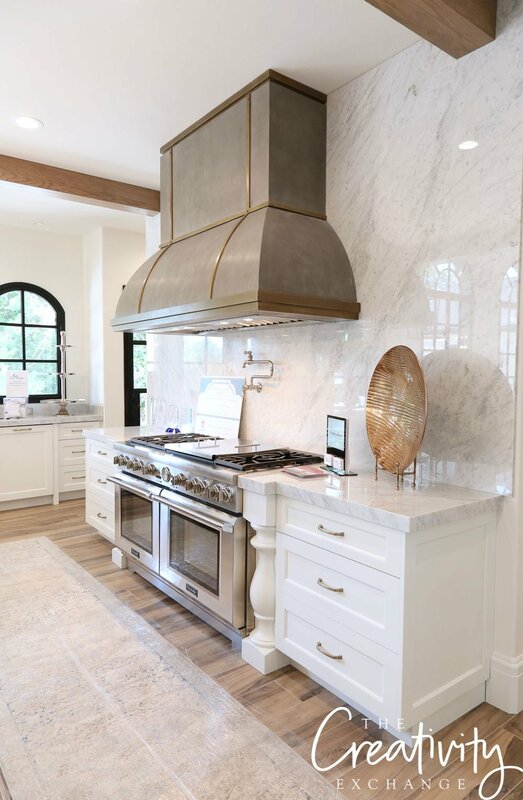 All of the white stone that you see on the fireplace and throughout the home is antique white limestone. 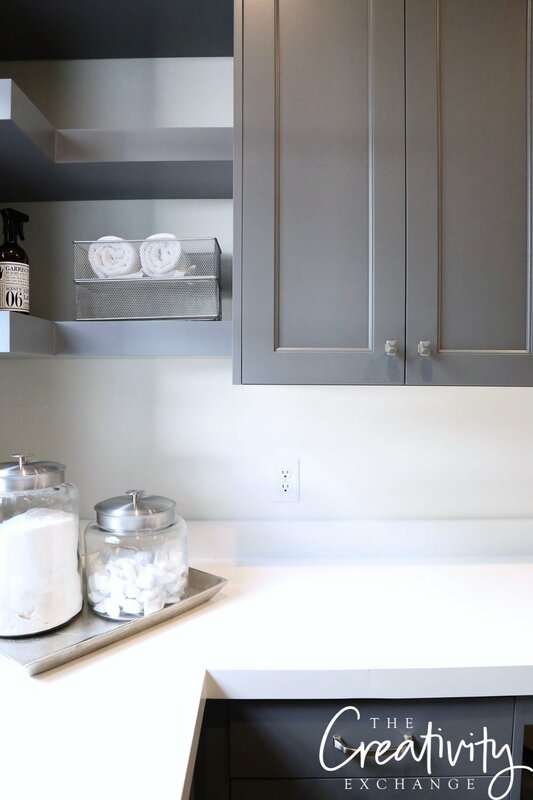 By the way, the wall color throughout the home is Benjamin Moore White Dove and the dark gray accent color is Benjamin Moore Trout Gray. 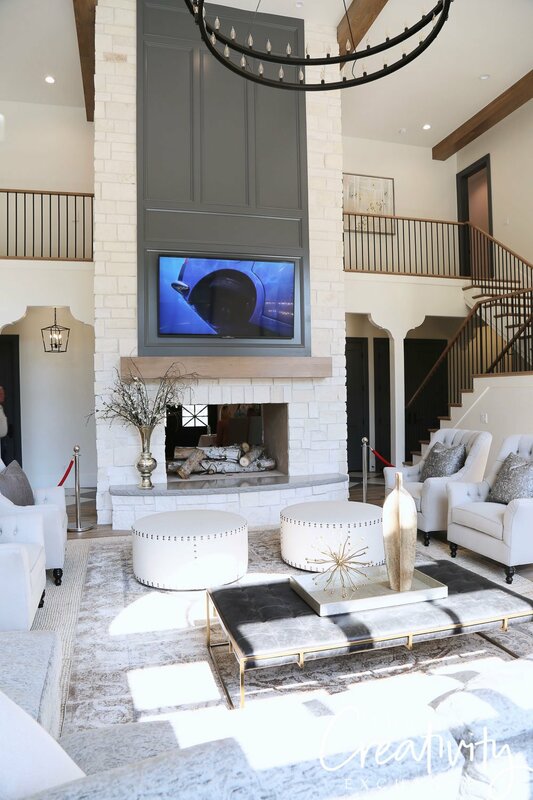 The home was decorated in layered neutrals, which was so smart because the neutral palette drew my attention to the European influenced architectural details of this home. The beautiful drama of the black steel doors across the back of the great room were at least 12-14 feet tall and really stunning. Just to give you an idea how tall the steel doors across the back of the main great room, here’s a picture I took looking down from the second floor. To the right of the main great room was the kitchen, which is absolutely amazing! 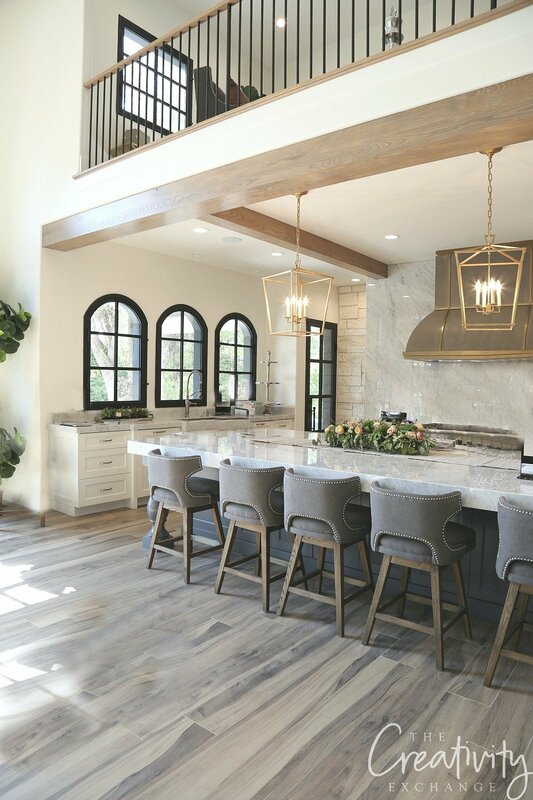 One of the prettiest kitchens that I have ever seen! 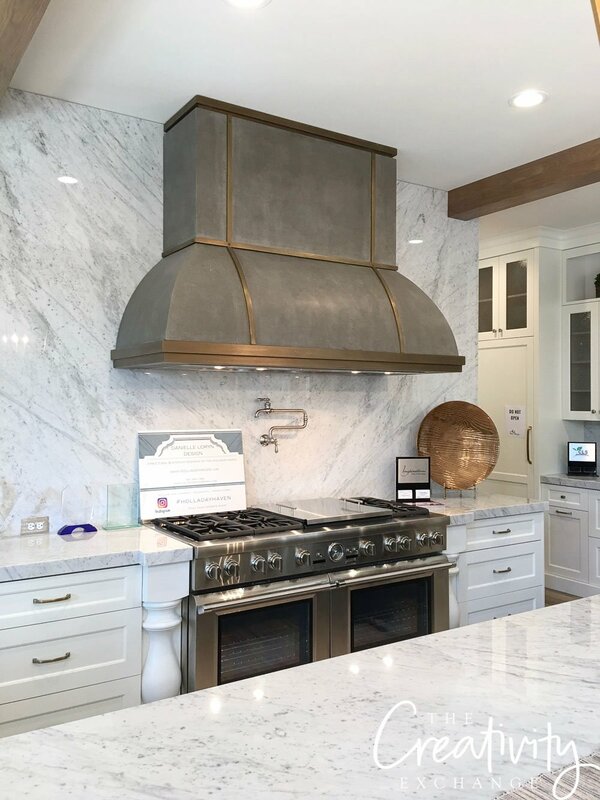 The European influenced cold-forged steel hood was not only the largest one I have ever seen but it was seriously magnificent! 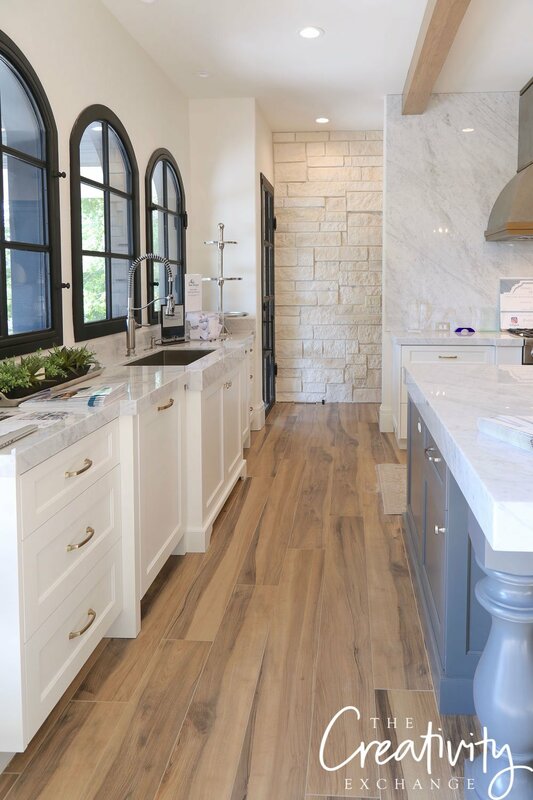 Absolutely perfect in this home and kitchen! 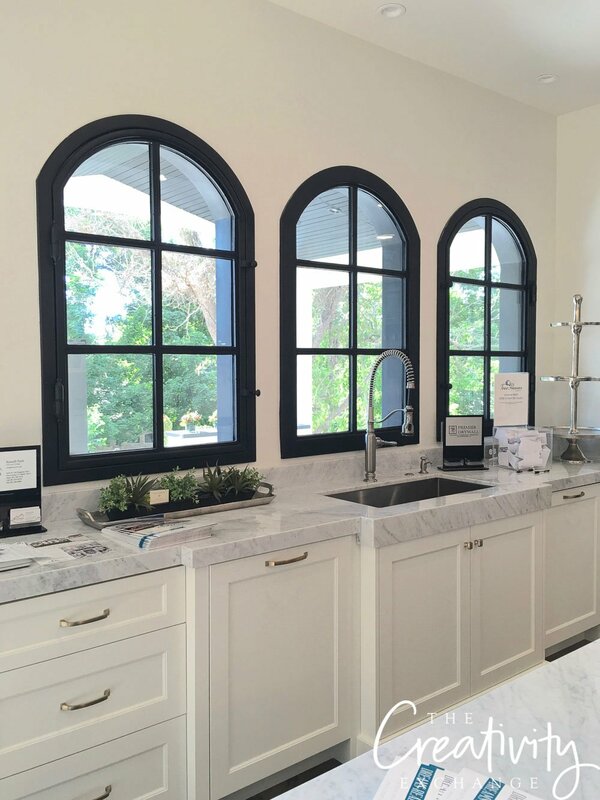 I really loved the windows in the kitchen that were black steel like the great room doors but on a smaller scale. 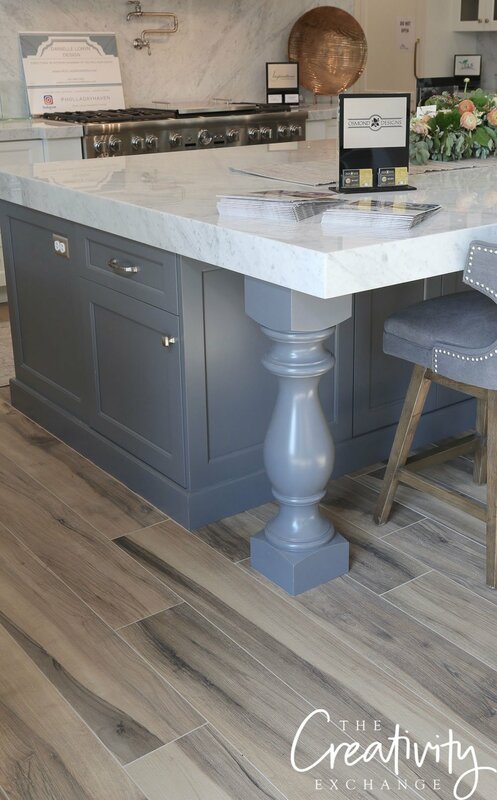 Benjamin Moore Trout Gray was the perfect color on the kitchen island because it was the perfect compliment to all of the marble and the subtile slight gray tones in the custom white oak stained flooring. 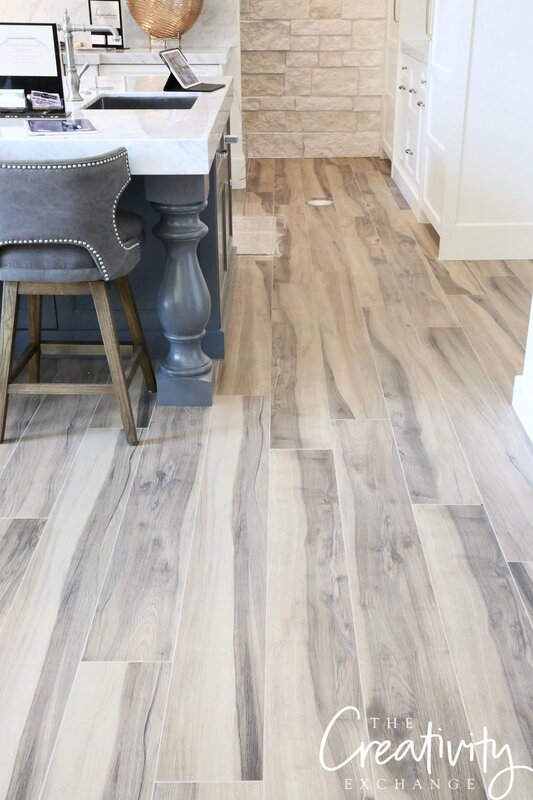 Speaking of the flooring, this white oak tile was perfect and so stunning in person. Really amazing! 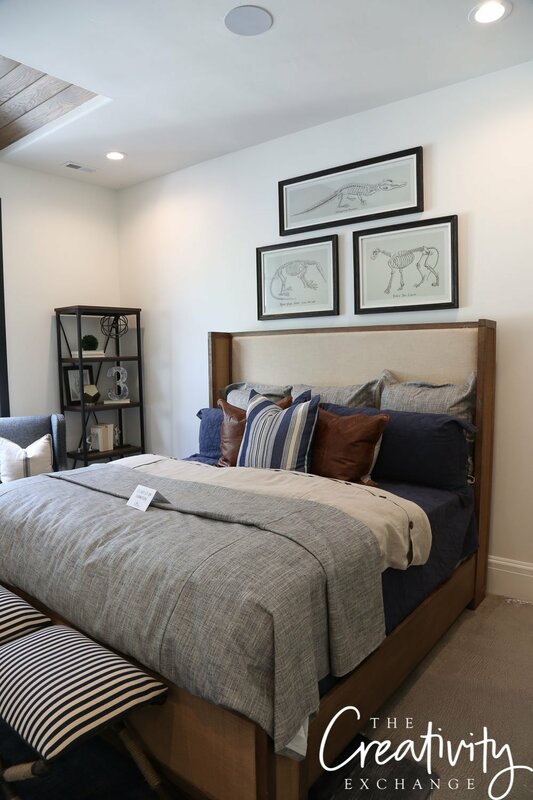 The master bedroom in the home was spectacular to say the least! 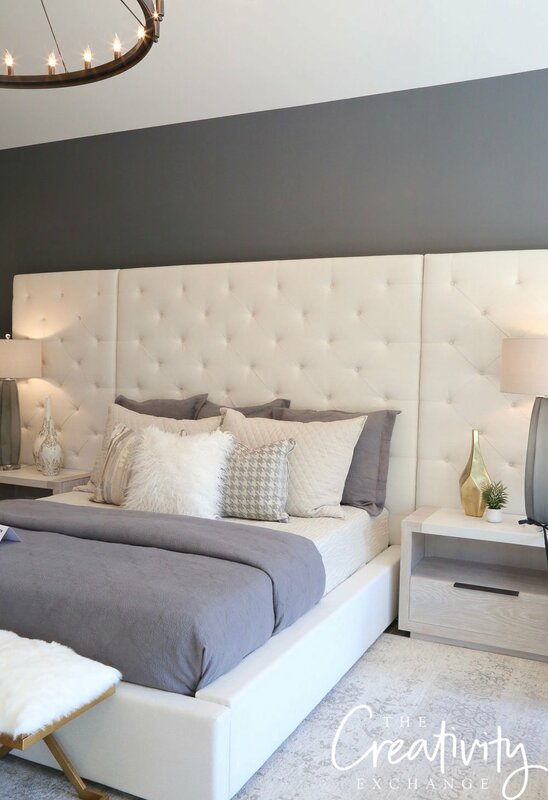 Danielle did a fantastic job with creating such a modern, elegant and cozy master suite. 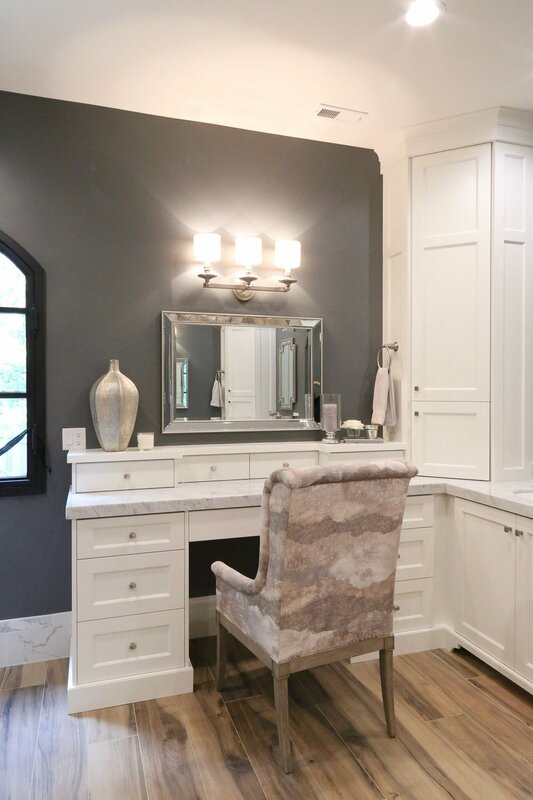 The wall colors are Benjamin Moore Trout Gray. 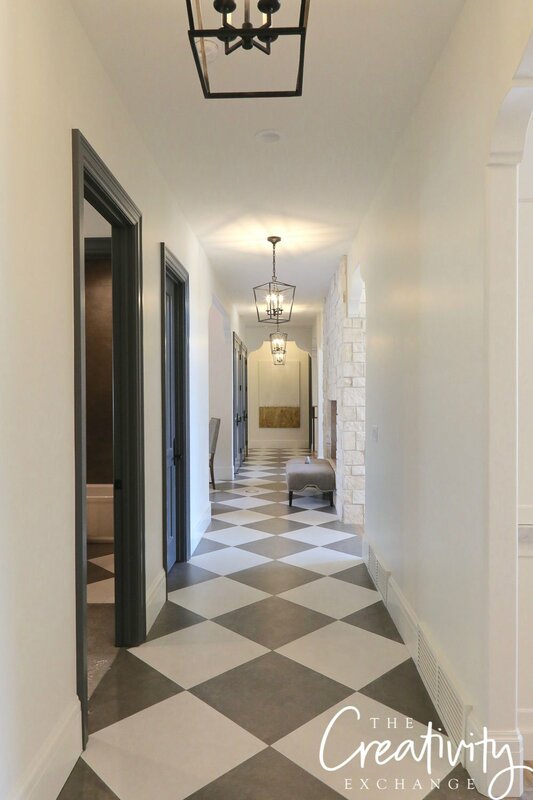 The main hallway off of the great room through the first floor of the home was even gorgeous and of course, European influenced in the design as well! 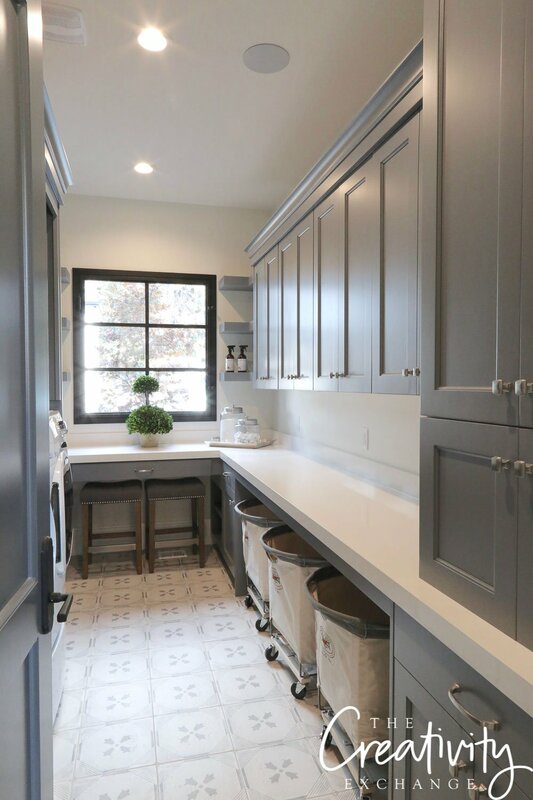 The laundry room was one of my favorite rooms of the house. 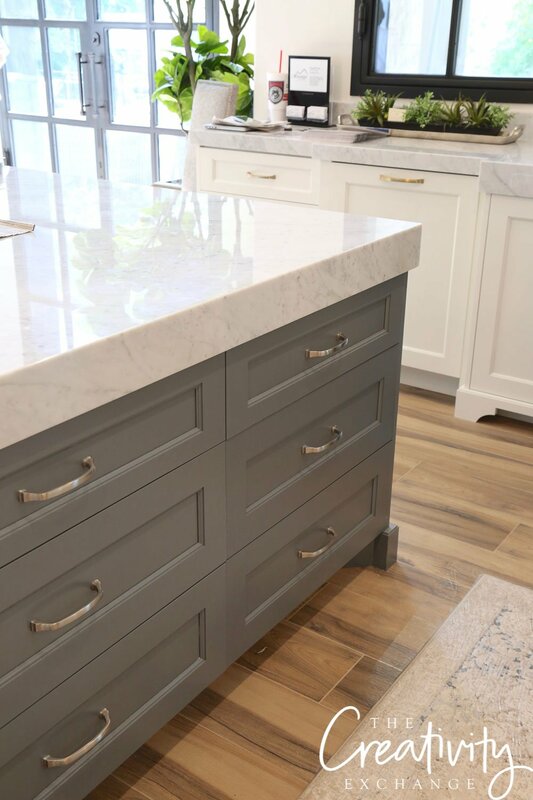 I loved all the closed cabinetry and Benjamin Moore Trout Gray really looks stunning in this space! 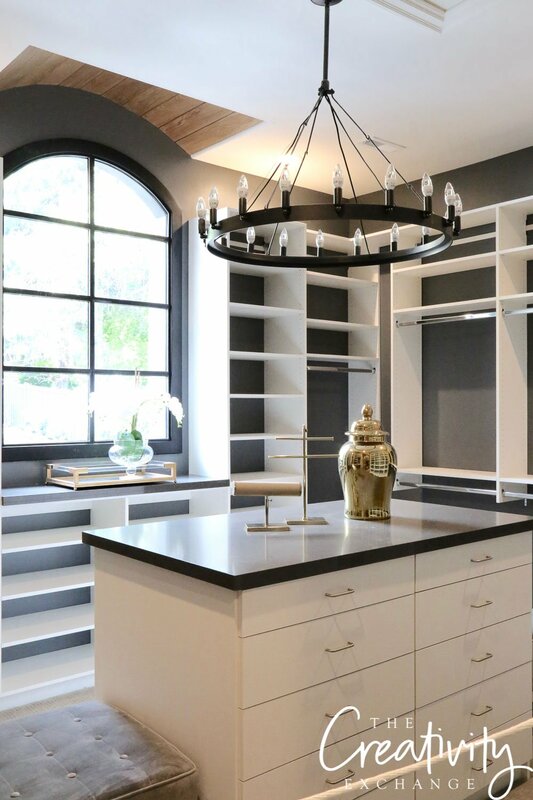 The pantry in this home was also huge as you could probably imagine loaded with great closed storage. 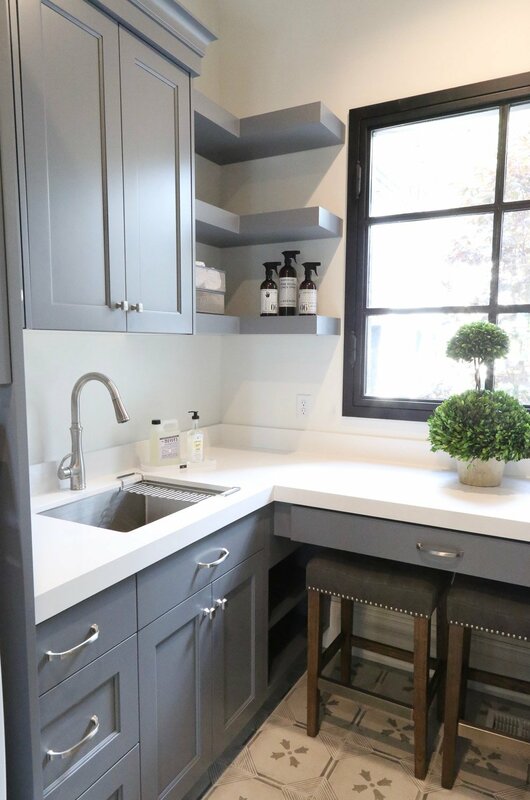 Such a dream space! 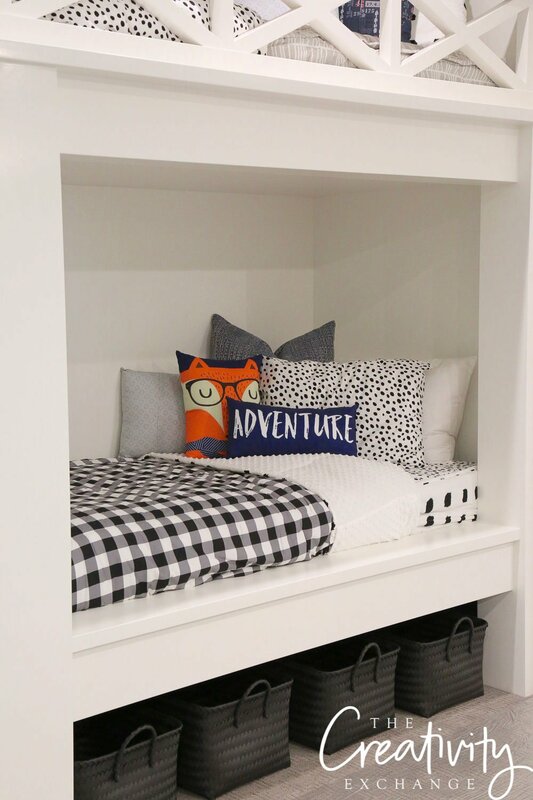 This home had some of the cutest bedrooms for the kids loaded with some creative decor ideas! The home also had a large home gym, three-story slide for kids and a large playroom that I wasn’t able to photograph. The back of the home had a beautiful outdoor kitchen and pool. Can you believe it?! Really such a beautifully built and designed home! 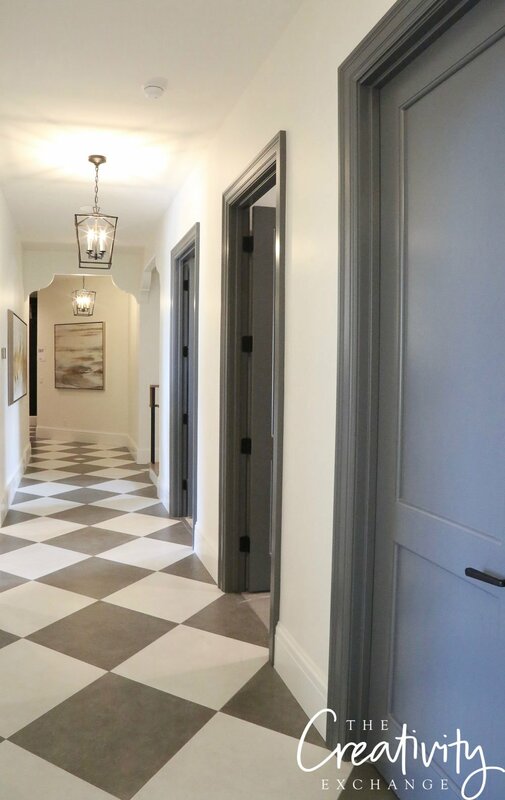 It was such a treat for me to walk through this home and I’m so excited to share it with you guys today! 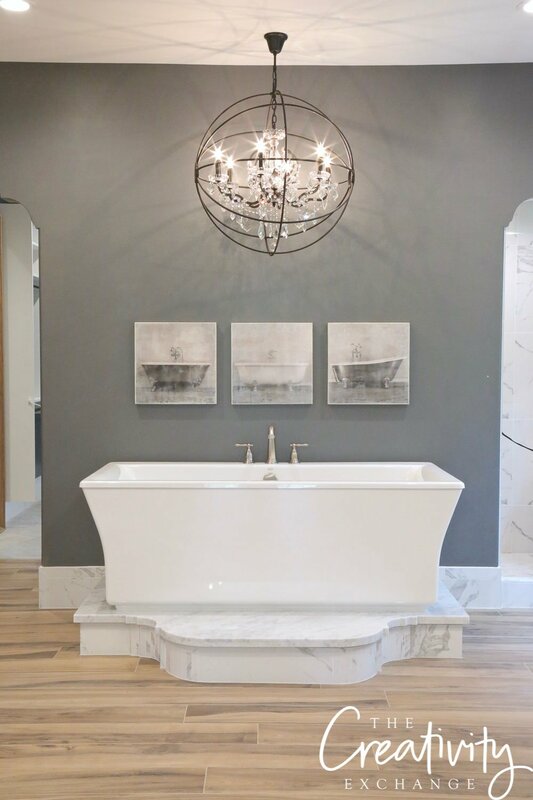 If you want to find out more about Alair Homes in Salt Lake City, you can find them here. 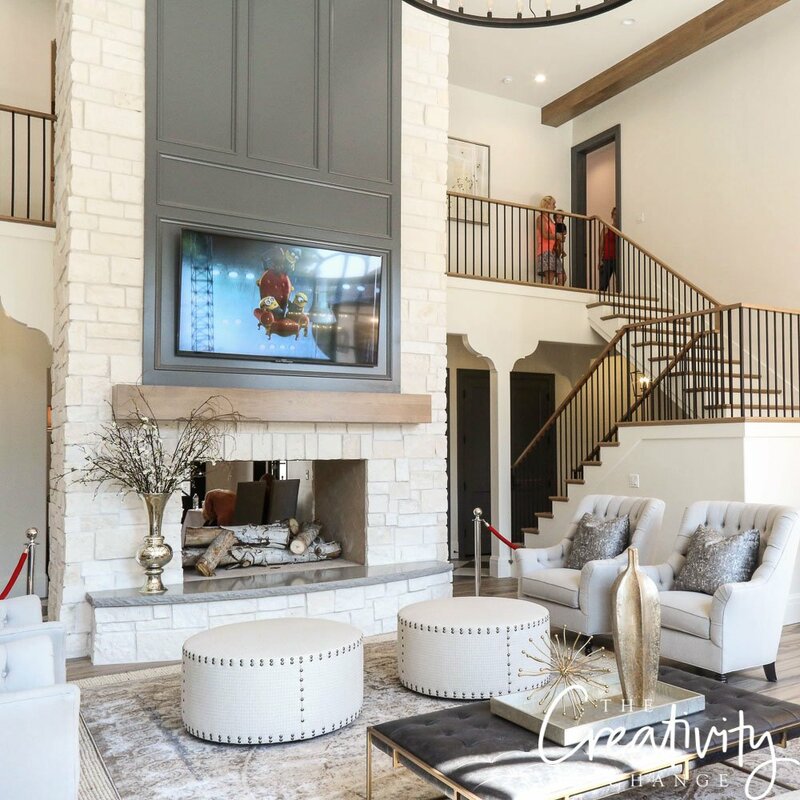 If you want to see more home inspiration, you can see the homes from the 2018 SLC Parade of Homes here. That is a gorgeous home. Thanks for sharing. I love the Trout Gray color. I used it in bookshelves based upon one of your prior posts about the color and it looks amazing. Thanks for sharing the show homes as they are so inspirational. The make me want to move to Salt Lake City! A fascinating home but feels cold to me with the grays. Somehow the black steel frame windows with no textiles on either side just feels bleak . More textiles or textural interest. 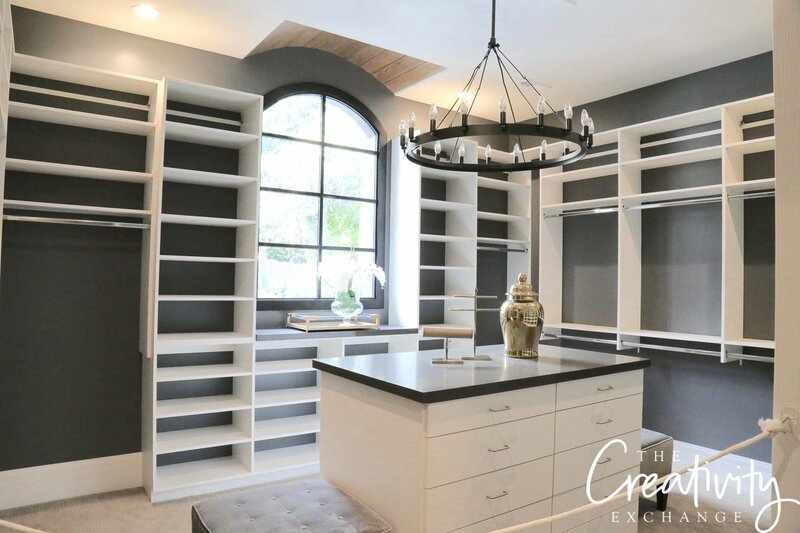 Clearly the designer owner has stage the house for photos and has not moved in yet as evidenced by the vacant master closet. No green plants or,other relief. Getting another look afte the family has been in for a year or so might be more cheering. One word to describe this house – WOW!!! 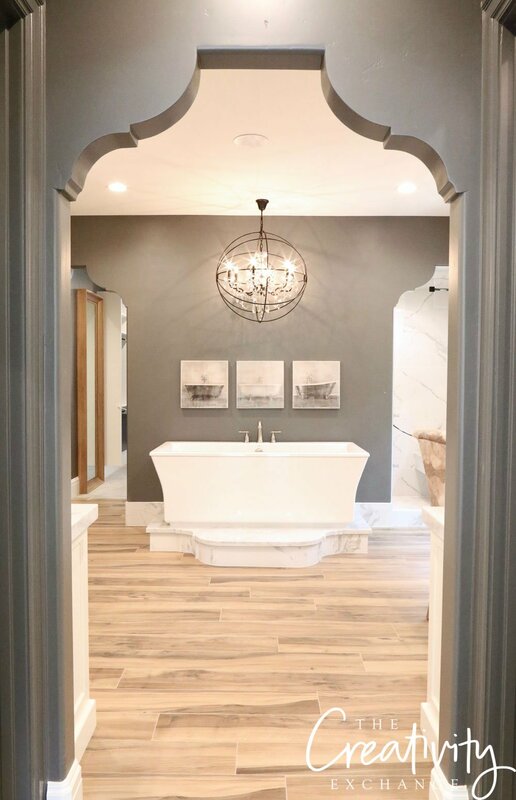 I loved the entrance into the master bath. Thanks for sharing!! 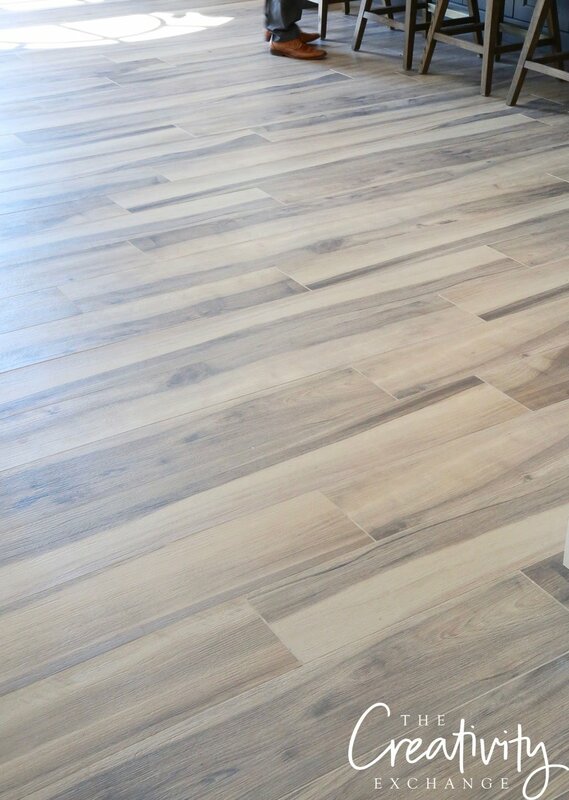 Those wood floors ! The closet ! The bathroom ! All of it is just beautiful! 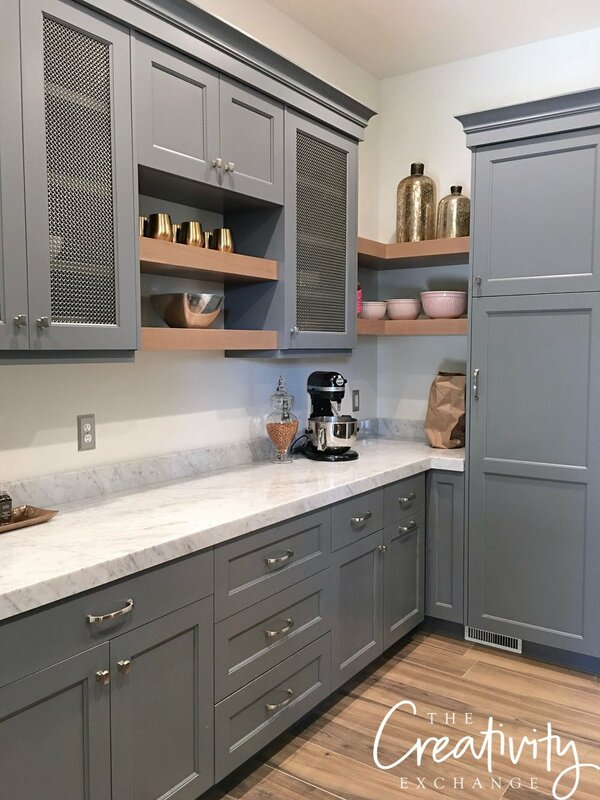 Are the kitchen cabinets painted the same color as the walls? Those laundry bins on wheels!! What a beautiful house! The colors are perfectly put together and so easy on the eyes. 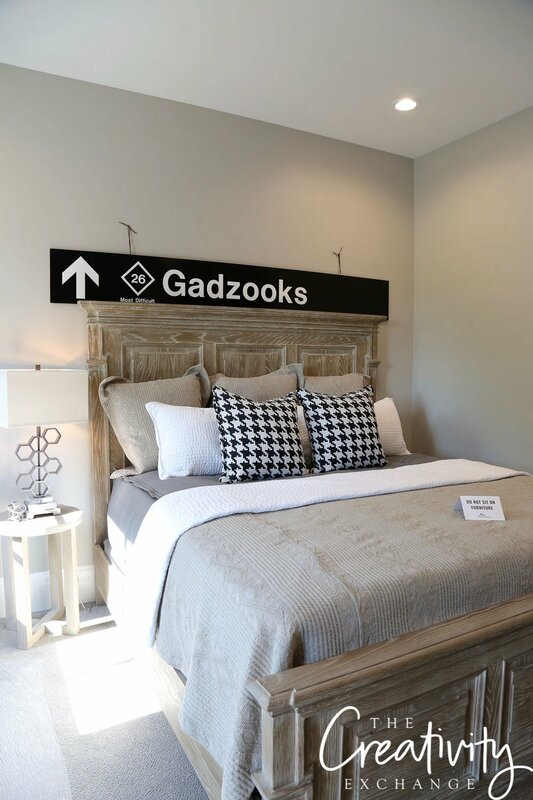 The perfect blend of chic and comfort. Any idea what the color of the walls in the main area is? I just love the light, but not white tone.